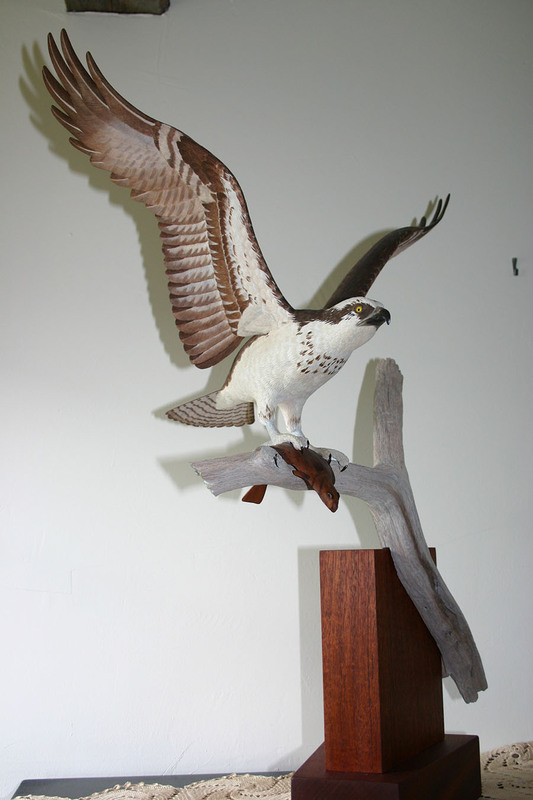 Ed Hawkes, Master Bird Carver of Bar Harbor, Maine, is also an avid birdwatcher and a volunteer with Acadia National Park Hawk Watch. 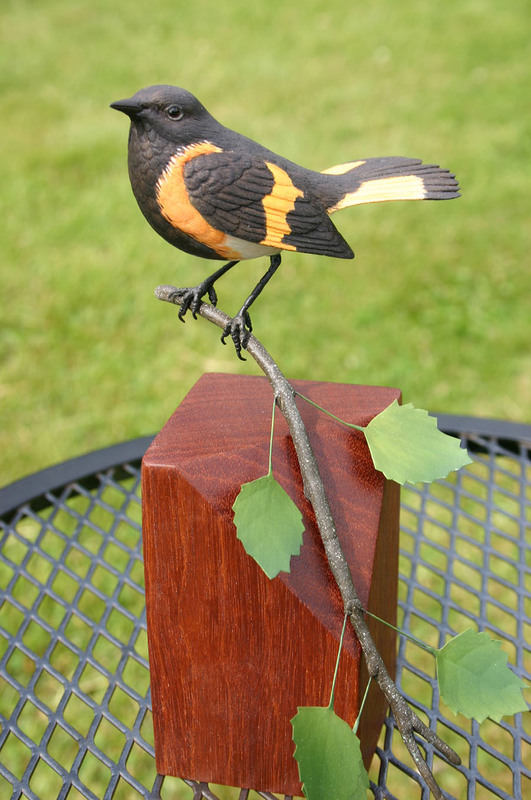 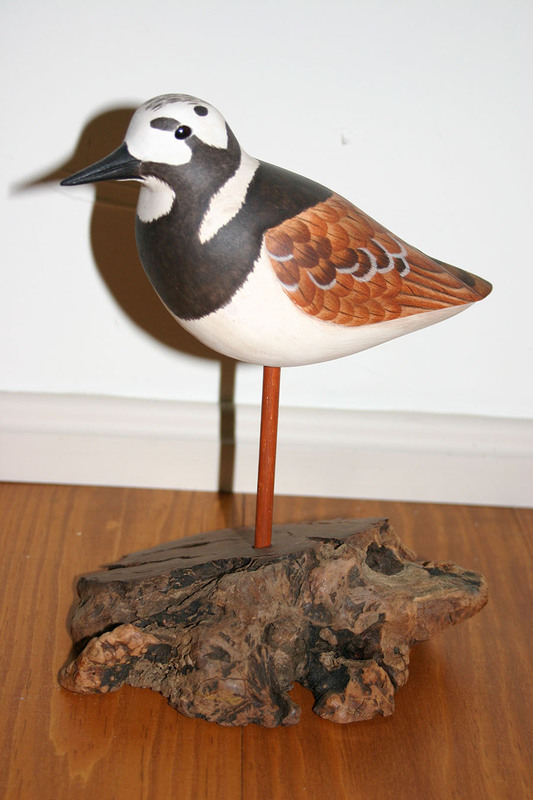 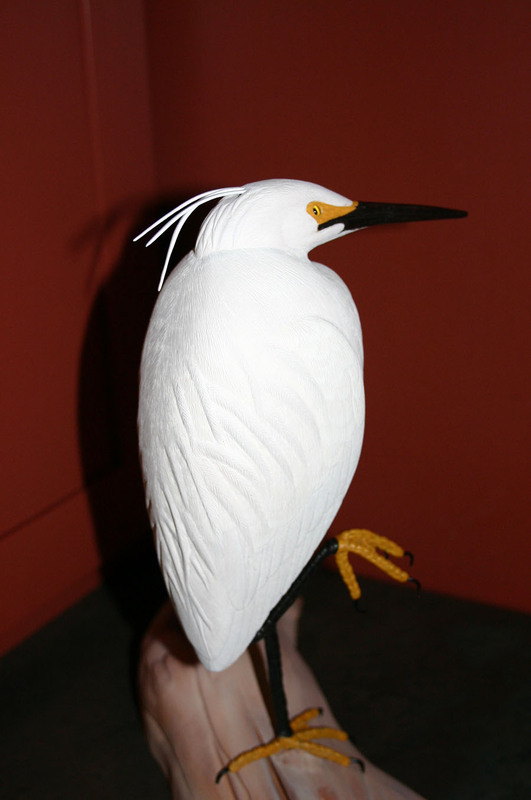 His hours of bird observations are constant inspiration for creating his realistic wooden sculptures. 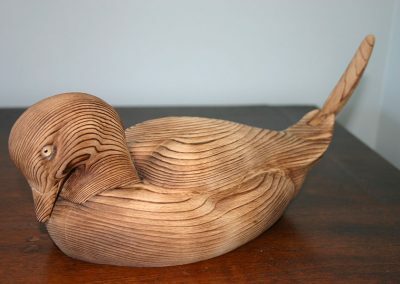 Ed starts each carving with a collection of bird photos and sketches to develop his design. 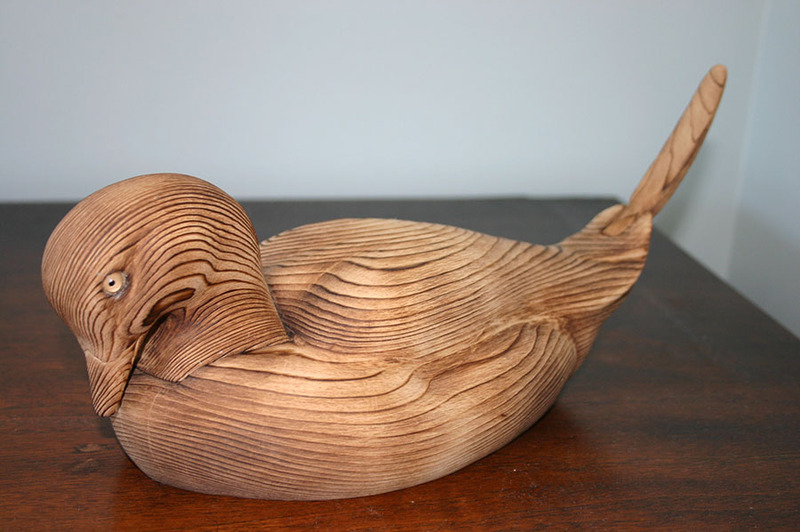 Starting with a square block of wood (usually basswood, but sometimes tupelo or cedar), he pencil-sketches the outline of the bird; cuts out the general shape with a band saw; then using a knife, draw knife or power grinder, brings out the bird’s contour and features. 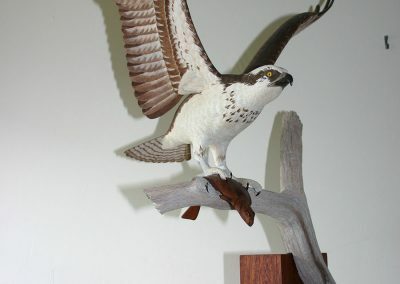 Once the shape is perfected and the piece has been finely sanded, Ed uses a woodburner to add the fine, minute, details to every feather, creating the lifelike softness. 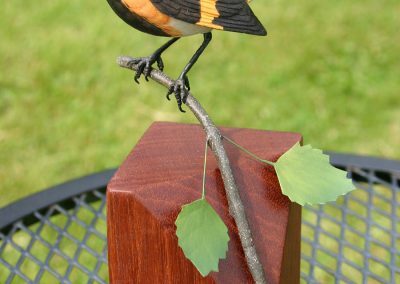 After this ‘carving’ process is completed, the painting begins — using layer after layer of thin paint washes to create subtle variations in color and light that bring the bird to life. 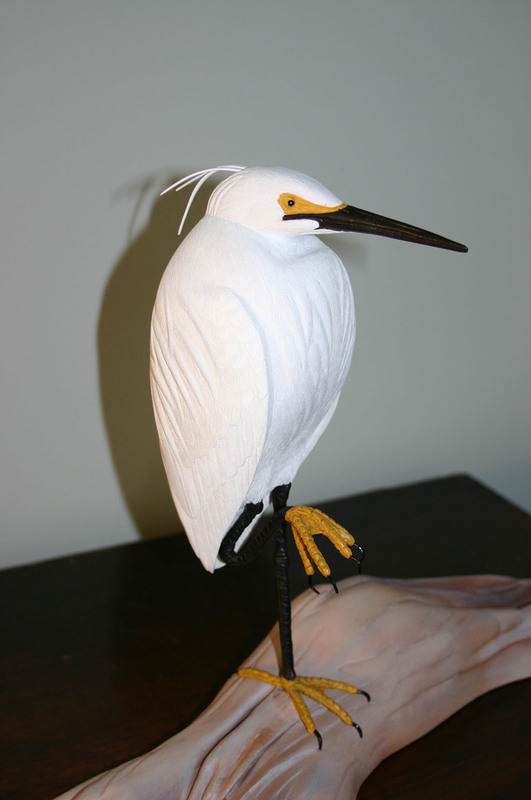 Ed spends between 50 to 250 hours patiently creating each delicate bird. 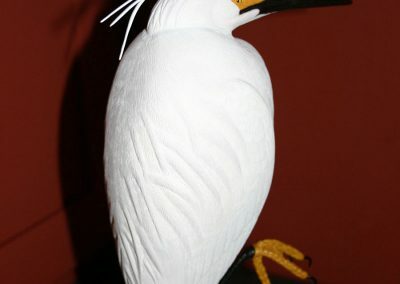 It’s a ‘labor of love’. 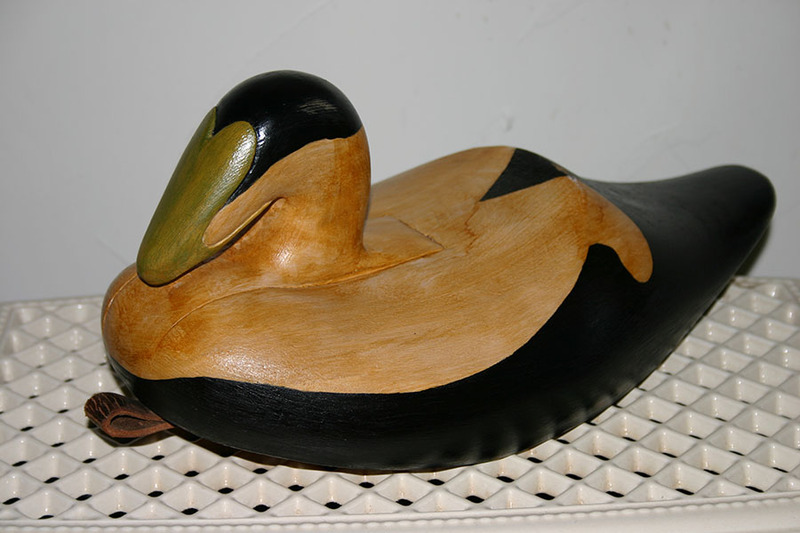 Ed’s carvings have won numerous awards, including a first place ribbon in the Advanced Division at the Ward World Carving Competition for his full-size Common Loon, as well as numerous First Place and ‘Best in Show’ awards at Maine carving competitions. 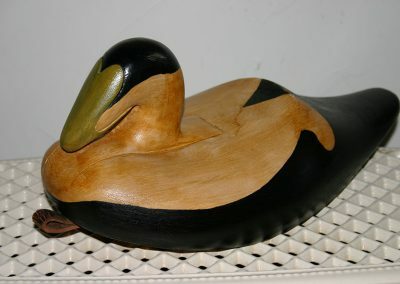 Ed Hawkes’ carvings are sold through private commissions and his website (hawkescarvings.com) as well as the following Maine galleries: Wendell Gilley Museum in Southwest Harbor, Artemis Gallery in Northeast Harbor, Northport Landing Gallery in Northport, and J&B Atlantic Gallery in Ellsworth.